By 637, Muslim armies began to appear near Jerusalem, which was then ruled by Patriarch Sophronious, a Byzantine leader who refused to surrender the city to Muslim armies under the command of Khalid Ibn Al-Walid and Amir Ibn Al-‘As. 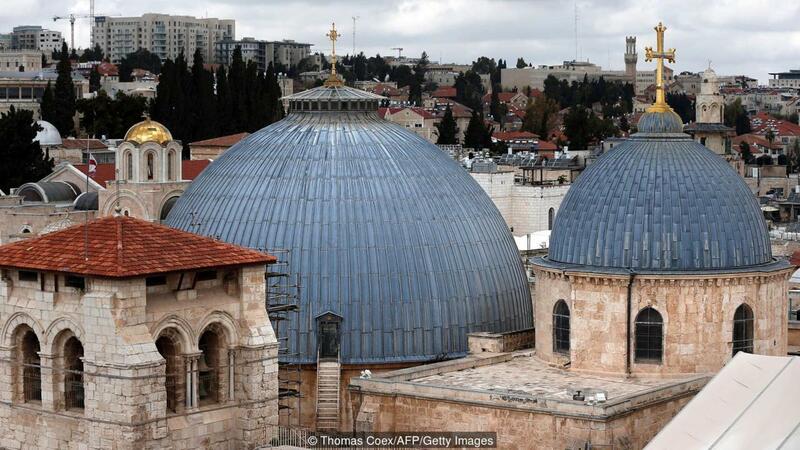 Concerned about the standoff, Caliph Umar left Madina and traveled to Jerusalem. In the Holy City, Umar made an agreement with Sophronius granting Christians freedom and protection so they could worship freely in churches. The two leaders signed a pact popularly called the Pact of Umar, a treaty detailing the rights and privileges of Christians in Jerusalem. History books state that Sophronious invited Umar to pray inside the Church, but Umar refused. He insisted that if he prayed there, later Muslims would use it as an excuse to convert it into a mosque – thereby depriving Christendom of one of its holiest sites, as Lost Islamic History again notes. The Caliph ordered the keys to the Church of the Holy Sepulchre be retained by the Hashemite noble family Joudeh Al-Husseini (Al-Ghodayya), descendants of Prophet Muhammad. Adeeb Joudeh Al-Husseini, the current custodian of the keys of the Holy Sepulchre, wrote an excellent piece in The Arab Weekly which touches upon this history. 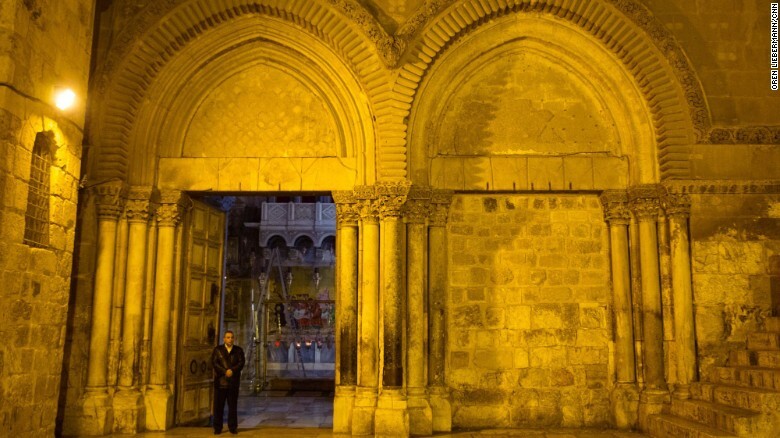 Al-Husseini’s father, grandfather and dozens of generations of ancestors before him dedicated most of their lives to being the custodians of the Church of the Holy Sepulchre, the oldest and holiest church in Christendom. The Church was built in 333 by Constantine, the first Roman emperor to convert to Christianity. His mother, Queen Helena, marked the place of Calvary during a visit to Jerusalem. The key to the Church, as the BBC notes, is the only one that can unlock the church’s imposing doors. This specific key was given to the Al-Husseini family by Saladin, the Sultan who captured Jerusalem from the Crusaders in 1187, as highlighted by Aref Al-Aref, a Jerusalem historian who wrote the book History of Jerusalem. In a CNN interview. 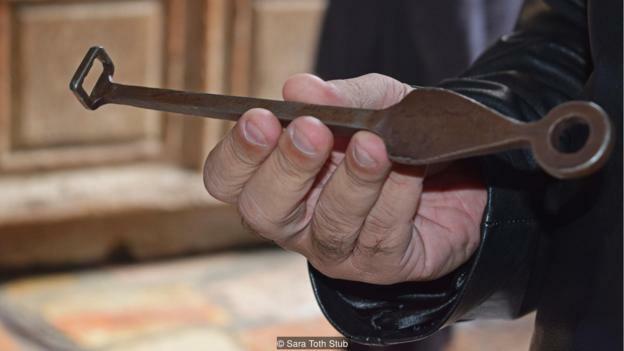 Al-Husseini shared two sets of keys – the “new” one has been in use for 500 years while the other one broke after centuries of use. The “old” key is said to be 850 years old. The idea behind handing the keys to Al-Husseini’s ancestors was “to protect the church from harm and to remind any successor who thinks of ruining the church that the keys are with the Nobels of Jerusalem, who were highly influential Muslims.” Today, the Al-Husseini family is responsible for maintaining neutrality in the Church, a difficult task since the Church is split between Roman Catholic, Greek Orthodox, Armenian Orthodox, Syrian Orthodox, Ethiopian Orthodox and Coptic Orthodox – each of which has monks living at the Church. The Nusseibeh family, the church’s doorkeepers, also play an important role in maintaining peace at the Church of the Holy Sepulchre. This family is responsible for opening and closing the gate and returning the keys back to Adeeb Joudeh Al-Husseini. Next Post Peacekeeping Vs. Peacemaking: What’s the Difference?